We offer entertainment booking for events of all types and sizes and have options for audiences of all ages. We are available for feature or ambient entertainment. Let us help make your dream a reality- we LOVE creating customized packages. What’s more, you’ll be spreading joy beyond your special day since a portion of each booking fee goes directly towards supporting our local and international projects which bring Circus and Smiles to communities that need them the most- one red nose at a time. If you can dream it, we can make it happen! Contact us today. Face Painters Let our talented painters help you put your best face forward. Our community of skilled artists can create designs to compliment your event's theme, or free style based on each guest's request. Stilt Walkers Standing tall, our stilt walkers dance through your space with elegance and grace. Let us give your event a larger than life feeling by having a stilt walking greeter be the first thing your guests see. A variety of costumes and characters available including light up costumes. Inquire for photos. Roaming Performers Invite our roaming performers to your next special event for guaranteed entertainment and delight. They’ll greet your guests, pose for photos, and wow the crowd with unbelievable tricks! World class jugglers, nimble acrobats, tall-legged stilt walkers, and themed characters are just a few of the options that will keep your guests talking long after the night has come to a close. Family Friendly Stage Shows Your kids won’t be able to stop smiling as our amazingly silly characters take you on a circus inspired journey. Engaging audiences of all ages, the show incorporates juggling, acrobatics, music, and feats of incredible strength. Everyone is encouraged to participate in the performance and a few lucky folks will even get to jump onstage and try their hands (and feet) at spinning rings, juggling, or acrobatics. Our [clown] college trained professionals take their foolery very seriously and their antics will leave you chuckling for days. Bilingual option available. 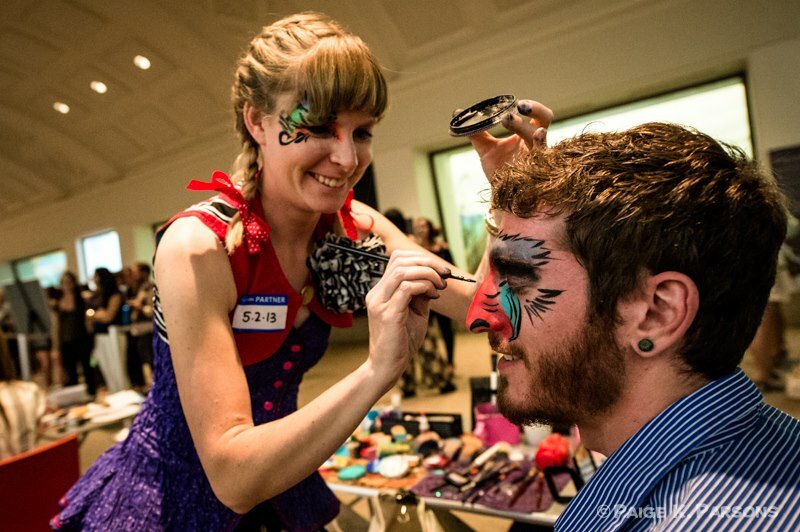 Circus Skill Workshops Let us bring the circus experience to your corporate retreat, school event, or party. A variety of skills available: juggling, clowning, simple acrobatics, and even how to walk on a giant rolling globe! 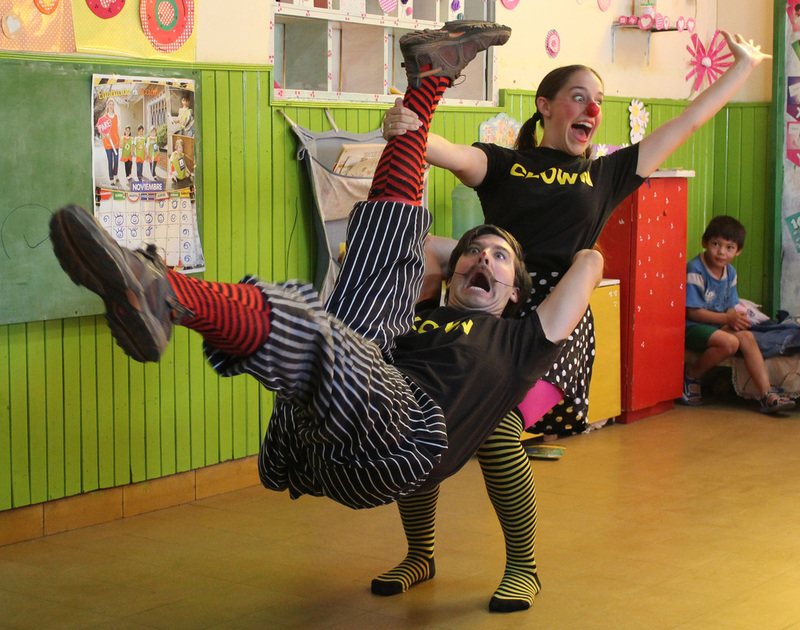 Circus workshops encourage the development of hand-eye coordination, balance, communication, and teamwork- and they liven up any event. We can customize a performance to complement your workshop.